We had a bit of a shock this morning. 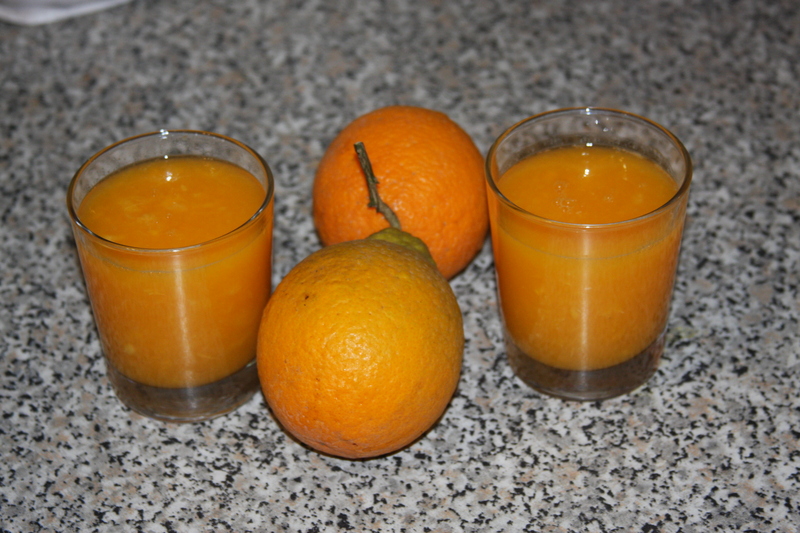 We made our daily spremuta and the oranges were just…orange. They weren’t speckled with even a hint of red. They looked anemic. A year ago in Chicago, this was the norm for us, but we’ve been spoiled. After 4 months of red and purple pulp, orange is a little drab. In fact, the color is almost yellow. Well, it will be several seasons before we see blood oranges again, but that’s something I love about Italy. As I’ve noted before, foods are seasonal and I think this creates a healthy sense of anticipation and appreciation for next year’s crop. This entry was posted in Italy and tagged blood oranges, spremuta. Bookmark the permalink. Ha! I know, it’s going to be tough when we leave Italy! Hope you had a safe trip home. Hehe. 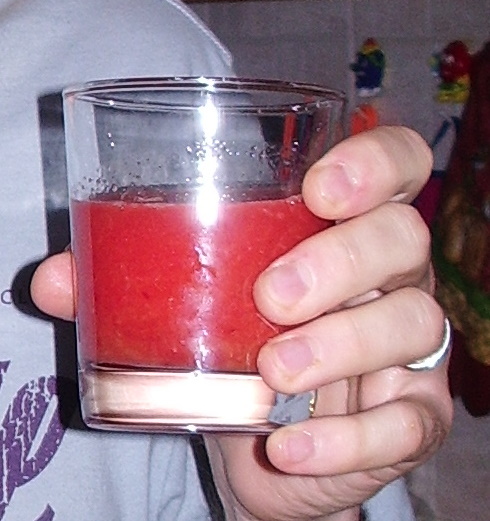 I’ve been making juice a couple times a week with beets, kale, parsley, apple, carrots, and bell pepper. I alway have to look at the price of peppers at the store. They’re so expensive! !